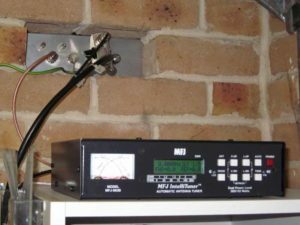 Design / build project: Guanella 1:1 ‘tuner balun for HF’ – #4 for details of the balun. This is all under the building eaves, but it is waterproof… the area is regularly jetted with high pressure water to clean insects away. High on the wall, a purpose built shelf carries the ATU just below the feed line entrance panel. A 500mm jumper for RG-400 connects the ATU to the panel feed through connector. 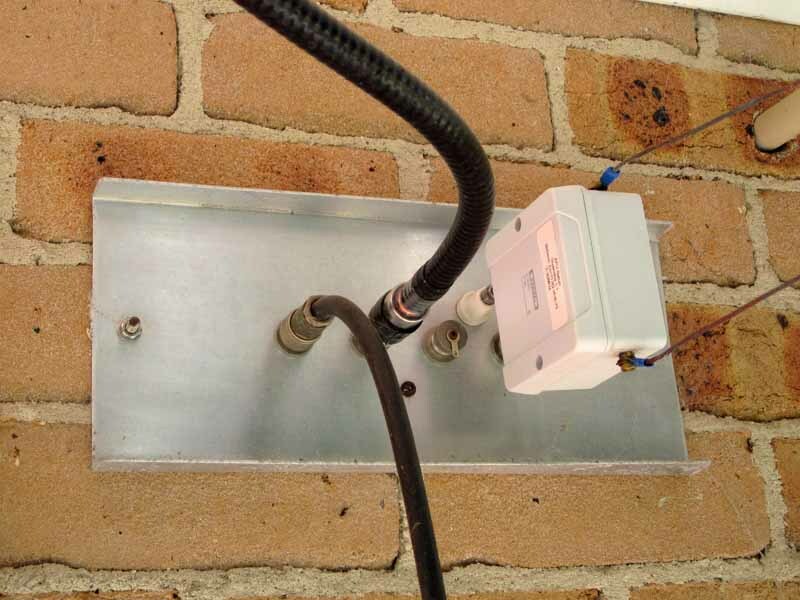 This section of coax may operate at high VSWR, and high voltage so it is kept as short as practical and the use of Teflon coax assists in meeting its operational requirements. A 2m RG58 tail connects the radio to the ATU, and a 2m control cable permits operation of the ATU from the IC-7410 front panel. The configuration with the home made high Zcm balun in a non-conductive enclosure and mounted on the outside of the metal antenna feed entrance panel delivers the lowest measured common mode current of many configurations tested (including the same balun on the inside of the panel, and internal baluns in three different ATUs. The reasons are discussed at Balanced ATUs and common mode current. Above, the loss in the RG-400 coax link from ATU to patch panel is trivial. 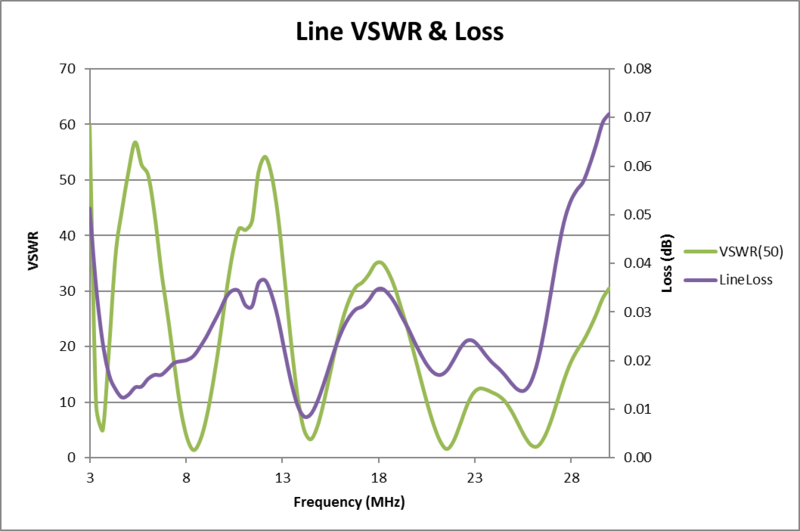 Though VSWR is very high at the low end, the coax is located in a low current zone and so losses are quite low. RG58 would be worse and less able to handle voltage and heat, and RG213 would be worse as it needs to be twice as long to comply with minimum bend radius specification. 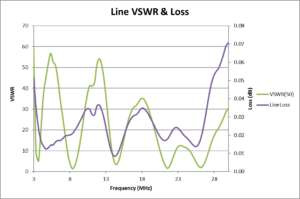 Note that the graph is evidence that line loss under standing waves is not simply a function of VSWR as often stated.